Funeral for Eugene Sabaitis on Wednesday, April 24, at 10:30 a.m.
Eugene J. Sabaitis, age 80 of Hastings, passed away unexpectedly on April 15, 2019, at Regina Hospital in Hastings. Gene was born on February 3, 1939 in Reading, Pennsylvania, the son of Alexandra and Joseph Sabaitis. He graduated from Reading High School and enlisted in the United States Navy. He proudly served in Vietnam as a Lieutenant. While in the service, he attended North Carolina State University and Mankato State University with a second Master’s degree in business. Throughout his career in Nuclear Engineering, he worked at both Westinghouse and Xcel Energy. Gene was a member of the Knights of Columbus as a Grand Knight for both the Third and Fourth Degree. He was a member of the Hastings VFW Post 1210 and St. Elizabeth Ann Seton Church. Music was his passion and he was an avid concertina player with the Northstar Band. He will be missed by all who knew him. Preceded in death by parents, Alexandra and Joseph Sabaitis; granddaughter, Jennifer Lubich; and his brother, Joseph Sabaitis. Survived by wife of over 56 years, Mary Julia Ann Sabaitis (Marcavage); children, Michelle Anne (Dan) Lubich of Woodbury, Suzanne (Kenton) Keiner Lincoln, WA, Eugene Sabaitis of Vadnais Heights, and Christine (Kenneth) Hayd of Bothell, WA; grandchildren, Jeremy (Jennifer) Lubich, Ryan (Joanne) Lubich, Reginald Moe, Elias Hayd, and Eleanor Hayd; great-grandchildren, Julia Lubich, Jocelyn Lubich, Jared Lubich, Johnna Lubich, Justin Lubich; siblings, Mary Kulikowski, and John Sabaitis; and many other family and friends. Mass of Christian Burial will be held at 10:30 a.m. on Wednesday, April 24, 2019 at St. Elizabeth Ann Seton Catholic Church, 2035 15th Street W., in Hastings. Immediately following Mass, a reception will be held in Mother Seton Hall with the interment and military honors to follow at the church cemetery. Family and friends are cordially invited to a visitation from 4:00 to 8:00 p.m. Tuesday evening at the new location of Starkson Family Life Celebration Chapel, 3075 Vermillion Street, in Hastings, and for one hour prior to the Mass at church on Wednesday morning. In lieu of flowers, plants are preferred. Arrangements are being completed by Starkson Family Life Celebration Chapel of Hastings. The funerals below have already taken place. May they rest in peace. Funeral for Bernard Klein on Friday, April 12, at 11:00 a.m.
Bernie M. Klein, age 68 of Hastings, passed away at his home on Saturday, April 6, 2019. He was a wonderful husband, father, brother, and grandfather. Bernie was born on October 31, 1950 in Hastings, Minnesota. He was the son of Phyllis (Mahoney) and Lawrence "Larry" Klein. He married the love of his life, Maureen Rene Klein (Riches) and they made Hastings home with their two children, Steven and Rene. Bernie worked for 3M as a technologist and later at Scherer Brothers. His family was always his first priority. He was a big man with a big heart. Bernie enjoyed reading and particularly loved to read to his grandson, Warren. He will be greatly missed by his family. Bernie was preceded in death by his parents, Larry and Phyllis Klein; and his brother, Bob Klein. He will be missed by his wife of 46 years, Maureen Rene Klein; his children, Rene Klein and Steven Michael (Maren Hoch) Klein; his grandson, Warren Michael Klein; his siblings, Barb (Paul) Cyr, Becky (Dwight) Commins, and Bill (Bobbie) Klein; his siblings-in-law, Gene (Linda) Riches and Marilynn (Doug) Grant; nieces and nephews, Brian Riches, Matt Riches, Chris Crill, Doug Crill, Adam (Katie) Klein, Ryan Klein, Lauren (Jason) Andrews, and Clair Commins; and other family and friends. Funeral for Ronald Alan Collins on Thursday, April 4, at 10:30 a.m.
Ronald Alan Collins, age 60, passed away at home March 27, 2019. He was preceded in death by his father, Donald. Ron is survived by his mother, Betty; siblings, Mike, Kathy, Karen Stockton, Tom (Lisa); dear Angela, David and Faith Jackson; Jesse, Lily, and Lincoln; many nieces, nephews and friends. A Mass will be held at St. Elizabeth Ann Seton Catholic Church on Thursday, April 4th at 10:30 a.m., interment to follow at the parish cemetery. A Celebration of Life will be held at Tom and Lisa&apos;s on Saturday, June 8th, starting at 2:00 p.m.
Click here for directions to SEAS. 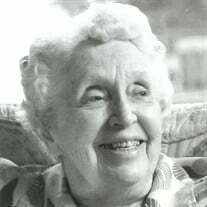 Funeral for Mary Ellen Hale on Friday, March 29, at 10:30 a.m.
Mary Ellen Hale, age 99 formerly of Hastings, MN, died peacefully on Sunday, Feb. 3, 2019 at home, in Vancouver, WA, surrounded by family. Mary Ellen, daughter of Stephen and Irene (McKinnon) Gray was born Dec. 13, 1919 in Superior, WI. Mary Ellen met the love of her life, Bob (Robert E) Hale in LaCrosse, WI. They were married in Superior, WI on April 20, 1943. They were blessed with 12 children, 42 grandchildren, 58 great grandchildren, and 4 great great grandchildren. She was very proud of all of her family. Mary Ellen was a life member of the American Legion Auxilliary Post 47. Over the years she held local and district Auxilliary offices. She retired from the Dakota County Sheriff’s Department as the Head Cook for the county jail. She always enjoyed sewing and various crafts. She taught classes at Joanns and Northwest Fabrics in MN. Mary Ellen moved to Vancouver, WA in 1990. She joined St John the Evangelist Church and immediately became an active member of the Catholic Daughter of America Court 2105. She helped with the making of many quilts and her talents in crafting and sewing became well known in the Holiday Bazaar world; she always had orders from returning customers, which kept her busy throughout the year. 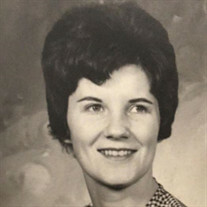 Mary Ellen was preceded in death by her parents, 2 brothers and 1 sister, husband Bob (Robert E.), son Steve, son in law Ralph Shingledecker, and 2 infant grandchildren. She is survived by 4 sons, Fran (Sharon) Vancouver, WA, Mike (Becky) Green Valley, AZ, Pat (Monica) Aberdeen, SD, and Jim, Apple Valley, MN and 7 daughters, Nancy Shingledecker, Hastings, MN, Kathy (Paul) Shingledecker, Maiden Rock, WI, Sally (Jack) Siebenaler, Hampton, MN, Sue (Mike) Rembleski, Hastings, MN, Mary Lou (Jim) Drahota, Jackson, MN, Lisa (Byron) Woltersdorf, Battleground, WA , Penny (John) Marugg, Battleground, WA, and 1 brother, C. Leo Gray, Lakeville, MN, sisters in law, Javonne Gray, Bemidji, MN, Ursula Pazera, West Bend, WI, brother in law, Ed Hale, LaCrosse, WI, and many nieces and nephews. A Mass for Mary Ellen will be celebrated Thursday, March 07, 2019 at 9:00 a.m. at St John the Evangelist Church, 8701 NE 119th St, Vancouver, WA 98662. A Mass of Christian Burial will be held at 10:30 a.m. Friday, March 29, 2019 at St. Elizabeth Ann Seton Catholic Church in Hastings, MN. Click here for directions to SEAS. Interment, following a luncheon at the church, will be at Fort Snelling National Cemetery, St. Paul, MN. Visitation will be held Friday morning 1 hour prior to Mass at the Church. Funeral for Agnes Holmes on Tuesday, March 19, at 10:30 a.m.
Age 85 of Hastings. Mother, Grandma, and Great-Grandma. Passed away on March 15, 2019. Preceded in death by daughter Cathy; former husband Wallace; parents; and 4 siblings. Survived by children, Eugene (Kim), Anna (Mark) Coulter, Mary Beth “Tina”, and Patricia (Troy) Olson; many grandchildren, great-grandchildren, and other family and friends. Mass of Christian Burial 10:30 AM on Tuesday, March 19, 2019 at St. Elizabeth Ann Seton Catholic Church in Hastings with visitation one hour prior to Mass at church. Interment at the church cemetery. Agnes A. Holmes, born June 7, 1933 in Red Wing, Minnesota, died peacefully at her home on March 15, 2019. Aggie’s parents, Florence (Moran) and Clarence Malloy, raised her on a farm in Goodhue County. At the farm, she absolutely loved animals, even going as far to sneak baby lambs into the house to play dress up with them. She attended a small one room schoolhouse by the farm before going to Villa Maria High School. It was in school that Aggie became a very intelligent woman with a quick wit and a love for reading books. After high school, Aggie met Wallace W. Holmes, who everyone called “Mope” and became an Army wife. They had five children together, Gene, Cathy, Anna, Tina, and Trish. Her love for animals as a kid continued into adulthood. When Mope told her no more animals, she pretended not to hear and continued to bring animals into the home. As the kids were growing up, she was known to be a confidant to them as well as their friends who called her “mama”. As loving as Aggie was to her kids and grandkids, she also had a funny, sassy, and witty side to her. The Irish in her brought out her very strong and opinionated personality. She was always talking about something, most often mentioning her fake handsome fiancé, Tom Hardy. Aggie loved to host people for the holidays and would have a fun atmosphere for any gathering. Although she was a wonderful host, she did not have a good cooking bone in her body. However, she was very known for her ability to bake delicious pies! Her extra time was spent shopping in catalogues or playing Kings Corners with family and friends. If there was a soap opera on BBC, everyone knew that Aggie was not to be interrupted. Besides a few set television shows she enjoyed, she also had some musical groups she enjoyed. Her favorite music came from Pink Floyd, the Eagles, the Beatles, and Tom Jones (don’t tell Tom Hardy that, though). Aggie loved traveling and went on several trips with her children. Her biggest travel partner was her daughter, Cathy, who she went on many cruises with. When Cathy passed away, Aggie took it very hard as they were not just mother and daughter, but great friends as well. Aggie passed away peacefully on March 15, 2019, at her home. She is preceded in death by her daughter Cathy Holmes; former husband Wallace; parents, Florence and Clarence Malloy; and 4 siblings, Marie Hauck, Ralph Malloy, Harold “Buster” Malloy, and John Malloy, She is survived by her children, Eugene (Kim) Holmes, Anna (Mark) Coulter, Mary Beth “Tina” Holmes, and Patricia (Troy) Olson, all of Hastings; 14 grandchildren, 14 great-grandchildren, and other family and friends. There will be a Mass of Christian Burial at 10:30 AM on Tuesday, March 19, 2019 at St. Elizabeth Ann Seton Catholic Church in Hastings with Fr. Dave Hennen officiating. There will be a visitation one hour prior to Mass at church for family and friends to visit, a reception will follow in the church hall, and the burial at the church cemetery after lunch. Click here for directions to SEAS. Funeral for Virginia "Poo" Kimmes on Saturday, March 16, at 11:00 a.m.
Virginia M. "Poo" Kimmes, age 85 of Hastings, died peacefully following an extended illness on Monday morning, March 11, 2019, at Oak Ridge Assisted Living in Hastings. Virginia Mae, the daughter of Godfrey and Madeline (Knoll) Nelson, was born on May 30, 1933, in Hastings. Following her graduation from Hastings High School with the class of 1951, Poo was united in marriage to Bernard P. "Ben" Kimmes on April 27, 1957, at St. Boniface Catholic Church in Hastings. They were blessed with three children, Karen, Bruce, and Randy, and forty-eight years of marriage prior to his passing on February 1, 2006. Poo was a longtime employee at DCA Title in Hastings, and officially retired when she was 72. She enjoyed her trips to the casino to play Keno and Bingo, playing cards with friends, and spending time with her children and grandchildren. She was preceded in death by her parents; brother, Vincent "Sonny"; sister-in-law, Sandy; brother-in-law, Glenn "Speed" Smith; and by her husband, Ben. Poo is survived by her children, Karen Kimmes, Bruce Kimmes, and Randy Kimmes; grandchildren, Jamie, Jessica, Kenna, Jonathan, and Thomas; great grandchildren, Alyssa, Landen, Carver, and Bennett; siblings, Peter (Jo) Nelson, Martin “Sal” Nelson, and Phyllis “Fiddy” Smith; and by many nieces, nephews, other relatives, and friends. Mass of Christian Burial will be held 11:00 a.m. Saturday, March 16, 2019, at St. Elizabeth Ann Seton Catholic Church in Hastings, with Father Michael Barsness officiating. Click here for directions to SEAS Church. Interment will follow at the parish cemetery. Family and friends are cordially invited to a visitation from 9:00 to 11:00 a.m. Saturday morning at church. In lieu of flowers, memorials are preferred to Hastings Family Service, or to the donor’s choice in memory of Poo. Funeral for Martin Kummer on Tuesday, March 12, at 11:00 a.m.
Martin G. Kummer, a lifelong farmer in Vermillion, died peacefully surrounded by his loving family on Tuesday morning, March 5, 2019, at Augustana Care of Hastings. Martin George, the son of Jacob and Josephine (Werner) Kummer, was born on November 11, 1917, in Vermillion, Minnesota. Following his education, Martin began his lifelong career of farming in Vermillion. Martin was united in marriage to Helen Bauer in 1944 at Guardian Angels Catholic Church in Hastings. They were blessed with nine children prior to her passing in 1982. Following her death, he was united in marriage to Veronica (Hoffman) Gores on March 13, 1984, and she later preceded him in death in 2007. Martin then married Maryanne Hennen on December 29, 2011 in Vermillion, and she passed away in 2016. Martin enjoyed waltzing, playing bingo, cards, and his trips to Treasure Island. He was a lifelong member of the Knights of Columbus Council 5199 in Vermillion. He was preceded in death by his parents; his three wives; ten siblings; great granddaughter, Rylee; and by his step-son, James Gores. Martin is survived by his children, Joe (Barbara) Kummer, Bob (Sue) Kummer, Mike (Cindy) Kummer, Carol (Cy) Schmitz, Larry (Lisa) Kummer, Paul (Pat) Kummer, Mary (Gary) Rondeau, Jane (Pat) Schmitt, and Barb (Ted) Kranz; nineteen grandchildren, and nineteen great grandchildren; seven step children; and by many nieces, nephews, other relatives, and friends. Mass of Christian Burial will be held 11:00 a.m. Tuesday, March 12, 2019, at St. Elizabeth Ann Seton Catholic Church in Hastings, with Father David Hennen officiating. Click here for directions to SEAS. Immediately following Mass, a luncheon will be held, and interment will follow at St. John the Baptist Parish Cemetery in Vermillion. Family and friends are cordially invited to a visitation from 4:00 to 7:00 p.m. Monday evening at Starkson Family Life Celebration Chapel ~ Caturia-Smidt Chapel of Hastings, and from 9:30 to 11:00 a.m. at church on Tuesday morning. There will be a KC Rosary service at 3:30 p.m. on Monday afternoon at the funeral home. In lieu of flowers, memorials are preferred to the Alzheimer’s Association, Hastings Family Service, or to the Donor’s Choice in memory of Martin. Funeral for Beverly Cunningham on Friday, February 22, at 11:00 a.m.
Cunningham, Beverly Marie, age 101, formally of South Minneapolis passed away peacefully Saturday, February 16, 2019 at Augustana Health Care Center in Hastings, Minnesota. Beverly received the sacraments of Baptism, Holy Eucharist, Confirmation and Matrimony at Incarnation Catholic Church. She was a founder of the Torchbearers, a Catholic outreach to young people at Incarnation. Beverly was a member and former president of the Antone guild, president of the Church of Holy Name&apos;s women&apos;s club, and member and president of Sodality club. She was a Minneapolis election judge for over 45 years, an avid reader, a devoted scoutmaster&apos;s wife, mother, and grandmother. Her Catholic faith and love of family is what encompassed her life. She will be truly missed but loved by all. Preceded in death by her parents Anton and Otilda Seifert, brothers Stanley and Lamont, beloved husband Joe, sons Joey and Patrick, grandson Ryan, and great- grandson Benjamin Reinke. Survived by her children, Margaret (Paul) Stutzman, Bob (Dianne), David, Jim (Kathy), Terry (John) Fasbender, daughter-in-law Marcia; and thirty grandchildren, fifty-seven great grandchildren, four great- great grandchildren; and numerous nieces and nephews. Mass of Christian burial is Friday, February 22 at 11am at St. Elizabeth Ann Seton Catholic Church, 15th Street West, Hastings, Minnesota 55033. Click here for directions to SEAS. Visitation at 9:30 prior to service with luncheon immediately following. Arrangements are being completed by Starkson Family Life Celebration Chapel. Funeral for Kenneth Kochendorfer on Thursday, February 21, at 1:00 p.m.
Kenneth “Ken” Kochendorfer, age 87, of Hastings, passed away peacefully at home on February 16, 2019. Ken was born the fifth child of Stanley “Dutch” and Nellie Kochendorfer in Durand, WI on June 22, 1931. He married Audrey A. Bradt of Hastings, on October 6, 1949. Ken was a 39 year employee of 3M Manufacturing in Cottage Grove, MN. Ken enjoyed playing fast-pitch softball and played center field for the state champion team from Loesch’s Bar in Hastings. Ken also enjoyed golf, fishing and especially spending time with his children and grandchildren. He is preceded in death by his parents; siblings, Marie (Burr) Metcalf; Wayne “Bud” (Gerry) Kochendorfer; Bette (Donald) Dutter; Stanley “Pudge” (Dolores) Kochendorfer. Ken is survived by his wife of 70 years, Audrey; children, Lee (Pam) Kochendorfer; Linda (Tom) Pohl; Guy (Luann) Kochendorfer; Kim (Joyce) Kochendorfer; Maureen (Tom) Klein; Doreen (Rick) Berg; Bobbi Jo (Bill) Klein, all of Hastings; 15 grandchildren; 18 great grandchildren; brother, Larry (Ramona) Kochendorfer. Mass of Christian Burial will be held Thursday (2/21) at 1:00 p.m. at St. Elizabeth Ann Seton Catholic Church. Click here for directions to SEAS. Gathering will be held one and a half hours prior to mass at church. Interment, St. Elizabeth Ann Seton Cemetery.